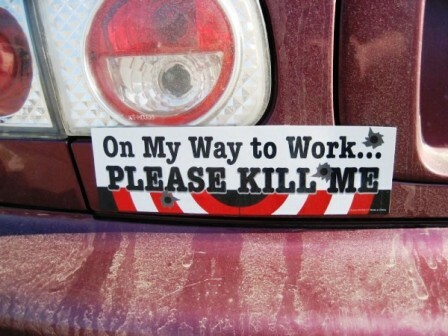 Funny bumper stickers keep drivers on the road inspired despite heavy traffic. It puts a smile on the faces of motorists when they read funny bumper stickers placed behind cars running in front of them. Bumper stickers are a way of presenting your ideas on living, politics, games, sacred aspects and many other fields. If you want people to tell them that what is your opinion about every aspect of life , funny bumper stickers are the useful means to tell the stories. 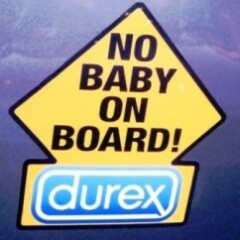 Bumper stickers can be hilarious, funny, rude, stupid, silly, sharp, quick or really brainless. They can make you smile when you read it or can even make the person who reads it angry. By telling your ideas and views through the funny bumper stickers you can develop your identity in the world.